Those who wish to come to Canada to visit, study, or work for a limited period of time may obtain a temporary residence visa. These types of visas are typically applied for at Canadian visa posts overseas, and may be renewed from within Canada. The duration of their validity depends on the type of visa and the reason for the temporary residence in Canada. The four main types of temporary visas are: Temporary Resident Visas (aka. Visitor visas), Study Permits, Super Visas and Work permits. Persons who simply wish to visit Canada for business or for pleasure may need to obtain a Temporary Resident Visa before doing so. Citizens of some countries are exempt from this requirement but most are not. These visas may be single or multiple-entry, and typically allow a visitor to enter and remain in Canada for up to 6 months at a time. Generally speaking, when assessing an application for a Temporary Resident Visa, the immigration authorities will consider the purpose of the visit, whether the applicant has sufficient funds to support themselves during their stay, and whether the applicant is likely to return to their home country at the end of their visit. If the visa applicant has a good reason for wanting to come to Canada and otherwise meets the relevant criteria, then they will likely be approved. However, the approval of this type of visa application is highly discretionary on the part of the visa officer, so a properly prepared application is essential for success. For those who wish to apply for a Temporary Resident Visa to Canada, our firm can help with the process by ensuring that the application is properly documented. Similarly, if you are in Canada with a Temporary Resident Visa and wish to renew it in order to extend your stay in Canada, we can assist with all aspects of this process. Please contact us for further information. Those who wish to study in a Canadian school, for example at a college or university, may apply for a study permit which will allow the applicant to remain in Canada as a temporary resident for the period of his or her studies. For example, a person who has been accepted into a three-year university program may be able to obtain a study permit valid for three years. To qualify the applicant must have been formally admitted into a Canadian school and be able to prove that they have sufficient funds to pay for their studies and living expenses during the time they are in Canada. Applicants must also prove to the immigration authorities’ satisfaction that they will leave Canada at the end of their authorized stay. Obtaining a study permit in Canada can allow the student to eventually transition to Canadian permanent residence. In this regard, once the student has successfully completed their course of study in Canada, then can apply for a Post-Graduate Work Permit valid for up to three years. This work permit will allow the former student to remain in Canada and work full time for any business. If the former student is able to obtain at least one year of full time, skilled work experience, they may then qualify to apply for permanent residence through the Canadian Experience Class or other federal or provincial programs. A Super Visa is a type of visitor visa which allows parents or grandparents of Canadian citizens and permanent residents to visit Canada for up to two years at a time. They are typically 10-year multi-entry visas. To qualify for such a visa the Canadian child or grandchild must show that they have sufficient income to support the visit, and the visiting parents or grandparents must pass a medical exam and purchase private medical insurance. Apart from that, the immigration authorities will apply the same evaluation of the visa application as with visitor visas, such as making a determination of whether the parent or grandparent is likely to return to their home country at the end of their visit. In this regard, the immigration authorities will look at factors such as whether the applicant has property and other family in the home country, is employed there or has some other reason why they would return home. The economic and political stability of the home country will also be a factor to be considered, since parents or grandparents from an unstable country may not wish to return there once they are admitted to Canada. Provided that the immigration authorities are satisfied that the applicant meets all criteria and are likely to comply with the rules related to their stay, they will issue the Super Visa. Refusals may be appealed to the Federal Court. 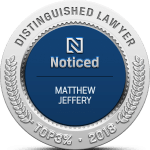 The Law Office of Matthew Jeffery has years of experience assisting clients with Super Visa applications. 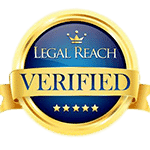 If you require our assistance with your case, please contact us for further information. Work permits are typically applied for from outside of Canada. 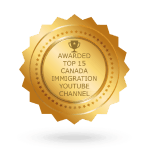 In most cases, it is a prerequisite to obtain a job offer from a Canadian company and to have that job offer approved by the federal human resources authorities before a visa will be issued by Citizenship and Immigration Canada. Some types of work in Canada do not require that a person obtain a work permit. An example of this type of exemption is foreign students. A foreign national in Canada with a study permit may work part-time without the necessity of obtaining a work permit. Where a work permit is required, it is sometimes possible to obtain the work permit without first having to obtain approval by the human resources authorities. Types of work permits which are exempt from human resources validation include work permits for spouses of foreign students and workers. Entrepreneurs and intra-company transferees, and other persons whose employment will bring a significant benefit to Canada can also obtain a work permit under this category. In addition, there is a special exemption for foreign students who have completed a course of study in Canada. These students can apply for an open Post-Graduate Work Permit valid for up to three years. In addition, some categories of workers from certain countries do not require human resources approval. Citizens of the United States and Mexico may apply for work permits under the North American Free Trade Agreement (NAFTA) if they are professionals, business visitors, intra-company transferees, or traders or investors. Citizens of countries that are signatories to other treaties such as the General Agreement on Trade in Services (GATS) and the Canada-Chile Free Trade Agreement (CCFTA) may also be able to benefit from this type of HRSDC approval-exempt work permit. Whether the hiring of the foreign worker will affect a labour dispute. All employers who wish to apply for LMIAs must file an application to the Employment and Social Development Canada (ESDC) and pay a $1,000 processing fee for each position. Employers needs to have an operating/functioning business, providing either a good or a service related to the job offer made and must be actively engaged in the business. Employers must first search for Canadians and Canadian Permanent Residents willing and qualified to fill the vacancy. This is generally done via advertising for at least four continuous weeks in the Job Bank or its provincial/territorial equivalent, in addition to at least two other sources that generally can be national, local, or industry-specific in scope. Employers who wish to apply for an LMIA for high wage positions must generally provide a Transition Plan with their application to demonstrate how they will increase efforts to hire Canadians, including through higher wages, investments in training and more active recruitment efforts from within Canada. Employers who wish to apply for an LMIA for low wage positions must follow a 10% cap for hiring temporary foreign workers, meaning that no more than 10% of their total work force may consist of foreign workers. Whether the position is considered to be a high or low wage occupation is determined by comparing the wage being offered to the foreign worker to the provincial/territorial median wage. If the human resources authorities issue an LMIA, the foreign worker can then apply for a work permit on this basis. This is a separate application that is made to the immigration authorities, and is subject to its own eligibility criteria. For more information about the LMIA process or for assistance hiring a foreign, please contact us at the Law Office of Matthew Jeffery. The Law Office of Matthew Jeffery, Barrister and Solicitor, has extensive experience assisting clients to apply for work permits. If you are interested in applying for a work permit, please contact us for further information.